FRONT COVER: ENTRANCE, PALMA INTERMODAL STATION. PHOTO: CARLOS GABILONDO. AT THE CORE OF CERAMIC We are witnessing a resurgence of the fundamental nature of ceramic, a close examination of what lies at the heart of the material and underscores its intrinsic properties, those that are unique to it: the many different formats, relief dĂŠcor, high gloss finishes, effects created with glazes, the infinite number of colors offered, etc. Few materials offer such a varied range of aesthetic options together with such advanced technical specifications. ESTUDIO CERĂ MICO, Bohemia Series. Manufacturersâ&#x20AC;&#x2122; catalogs are true Pantone charts in ceramic. EQUIPE CERĂ MICAS, Chevron Wall and Scale Hexagon Series. possibly play with these variables without forgoing any of its high technical specifications, if not ceramic? CERAMIC AND THE PANTONE PALETTE Ceramic can be produced in every possible color, from the brightest of hues to powdery tones and in both gloss and matte finishes. Even white helps extend the range as it comes in an infinity of different shades. Playing with colors can distort shapes, expand space and create very interesting light effects. The trends seen in the 80s, when color was an essential part of decoration and there were no prejudices against bringing color into the home, are making a comeback. Dark hues also have their place in the new collections of tiles, bringing a more elegant style and giving spaces a more sophisticated look. CRISTACER, Lowland Collection Wall Covering, Retro Collection Floor Covering. NATUCER, 15.9x18 (6x7”) Figures Triangle Series. Triangle Blanc. Triangle Bronze. This next edition of Trans-hitos is being titled Ágora. THE PLACE TO MEET THE 37TH EDITION OF CEVISAMA TAKES PLACE FROM JANUARY 28TH TO FEBRUARY 1ST, 2019 AT THE FERIA VALENCIA EXHIBITION CENTER. THE FOCUS OF THIS YEAR’S FAIR IS SPECIFYING, WITH WORLD-CLASS PROFESSIONALS DELIVERING A FASCINATING SERIES OF PRESENTATIONS. The jury, comprised of architects Jorge Silvetti (chairman), Elías Torres, Ricardo Carvalho, Jordi Garcés, Belén Moneo, Mario Ruiz and Ramón Monfort, decided to award first prize in the Architecture category to the new entrance to the Intermodal Station in Palma de Mallorca, by architect Joan Miquel Seguí Colomar. The winner of the interior design category was “Water Front House”, by Xavier Martí and Lucía Ferrater. New entrance to the intermodal station in Palma. Photo: Adrià Goula. Water front house. Photo: Alejo Bagué. 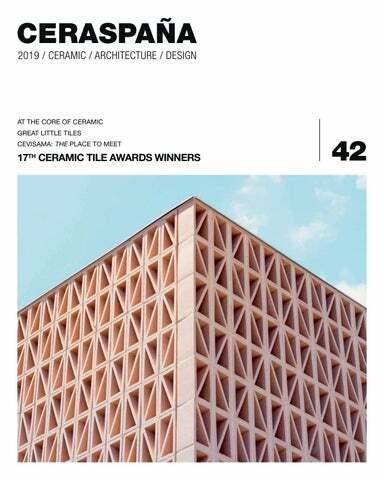 he winners of the seventeenth Ceramic Tile in Architecture and Interior Design Awards were selected on November 21st with a huge ceramic lattice screen and a vacation home winning the two main categories. It was decided that, on account of the high standard of the entries, several special mentions should be awarded in the three categories as well. ARCHITECTURE The winner in the Architecture category was the design for the “New entrance to Palma Intermodal Station” by Joan Miquel Seguí Colomar. What particularly impressed the jury about this design was the prominent part played by the ceramic tile lattice screen as the defining element of the entrance and also as a threshold between the urban space and the infrastructure services provided by the Intermodal Station. The design thus marks a revival of the Mediterranean tradition of lattice screens as a filter between an outdoor space and a welcoming area. The jury decided to award two special mentions in the Architecture category too. One went to “Laan Van Spartaan Amsterdam Student Housing”, an apartment block for students in Amsterdam, designed by Studioninedots Amsterdam, which involved researching and applying prefabrication solutions with large-format ceramic tiles. The other was awarded to the “Multi-sports and lecture halls building at Universidad Francisco de Vitoria” (Pozuelo de Alarcón, Madrid), by Alberto Campo Baeza. The aspect of the design that most impressed the jury was that the perfection of the idea that rules the design is complemented by high-precision ceramic tiles that help construct a building in which sharpness of details are key. spaces and levels in harmony with the rest of the materials. The jury awarded an honorary mention in the interior design category to “Reforma Integral Casa Atrium” (Complete renovation of Casa Atrium) by María Fernández Torrada – Torrada Arquitectura. What makes this a stand-out design is the use of large format, minimal thickness ceramic tiles, which turn a space that is essentially the hub of the home into a bright unique space. Entrance to the intermodal station in Palma. Photo:Adrià Goula. GRADUATE PROJECT DESIGN Last, the Ceramic Tile Awards include a category designed to recognize the best Graduate Project completed by students of Architecture in which ceramic tile is a major part of the design. The jury decided to award first prize in the GP category to “Un buen suceso” (“A great success”) by Manuel Bouzas Barcala of ETSA Madrid, for his commitment to experimenting and creating. The jury also highlighted the precise ideas behind the premise of original use of ceramic tile as the driving force of the architectural design. Two special mentions were awarded by the jury as well: one to “La Vall, vestíbul a Barcelona” by Clàudia Calvet Gómez of ETSA Barcelona and “El límite. Escuela de Artes y Oficios en Chinchón” (The limit. School of Art and Crafts in Chinchón), by Carmen Martín Hernando of EPS Universidad CEU San Pablo. Complete renovation of Casa Atrium. Photo: Amador Toril. The two main categories of the Ceramic Tile Awards are Architecture and Interior Design, each of which has a prize fund of 17,000 euros. The competition also includes a Graduate Projects category, open to students of architecture, with a prize fund of 5,000 euros. Laan Van Spartaan Amsterdam Student Housing. Photos: Michael van Oosten. Multi-sports and lecture halls building. Francisco de Vitoria University. Photos: Javier Calleja. Complete renovation of Casa Artium. Photo: Amador Toril. The Awards were once more privileged to be judged by an exceptional jury. A great success, winner of the first prize in the DP category. GREAT LITTLE TILES Everyone has heard it said on occasion that size does not matter and that the essence of anything is to be found in the small details. When applied to architecture, these ideas make even more sense and can be interpreted with greater subtlety. The sum of small, well-formed details will provide a unique design, while a simple choice of materials can change the whole direction a design takes. Almost invisible school, by ABLM arquitectos. tradition – a duality that comes to the surface when it is a small yet elegant and unique item – a ceramic tile – that is the main feature. 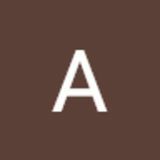 The very name elicits a conflict of thoughts that prompt doubts as to why it was chosen, doubts that are assuaged once its simple (im) perfection and valuable aesthetic contribution becomes apparent. Buiding refurbishment in Cartagena, by MartĂ­n LejĂĄrraga. IES Jaume I in Ontinyent, by architect Ramรณn Esteve. ‘Casa Collage’ by Bosch Capdeferro Arquitectos. Photograph by José Hevia. ‘Casa Andamio’ by Bosch Capdeferro Arquitectos. Photograph by José Hevia. Central Bar by chef Ricard Camarena in Valencia’s Central Market. Hotel Santa Creu in Tabarca by Diego López Fuster + Subarquitectura. Photograph by Jesús Granada. Edificio 11 in Barcelona by Flores y Prats studio. Photograph by Álex García. Teulada Auditorium, by Francisco Mangado. Photograph by Roland Halbe. ‘Breath-Marks’ project by Urban Society in conjunction with artist Sun Choi. ‘4en1’ House by Clavel Rojo Arquitectos. Photograph by David Frutos. Juana Limón Café by Lucas y Hernández-Gil arquitectos. Photograph by Jara Varela. Attendees at the symposium held at the Tate Liverpool.